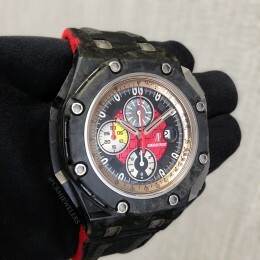 The history of the Royal Oak Offshore began back in 1989, when a young Audemars Piguet designer by the name of Emmanuel Gueit presented a concept sketch of a watch that re-invented the earlier Royal Oak design. 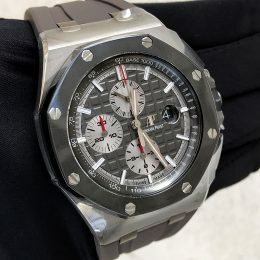 The modifications transformed the Royal Oak into a more aggressive, beefed-up, sporty watch that could tackle all of the elements its owner would encounter while on exciting outdoor adventures. 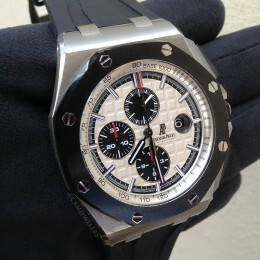 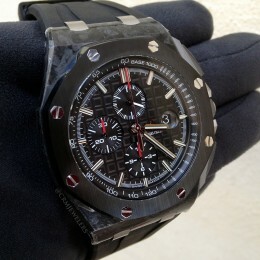 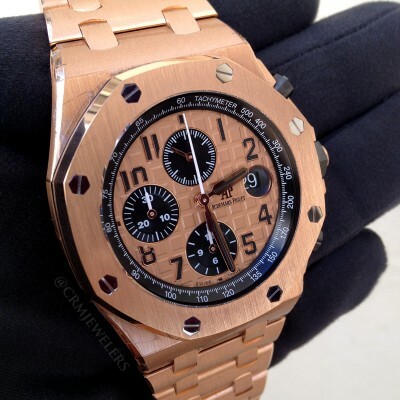 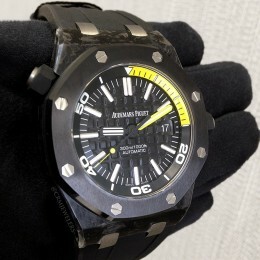 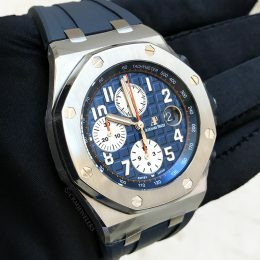 The Royal Oak Offshore design has unique characteristics that make it stand out from its predecessor. 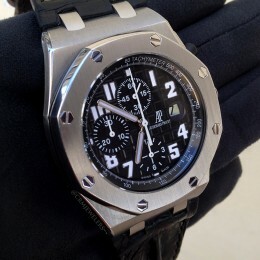 Some of these include a bigger case size that is 42 mm in width, a taller profile, curved bracelet links, the bezel’s pronounced black gasket, as well as silicon caps on the crown and chronograph pushers. 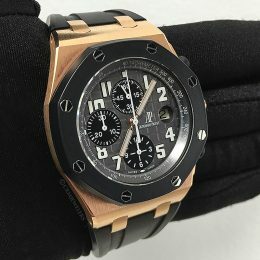 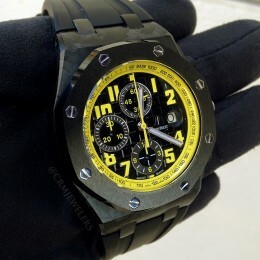 The conspicuous look of the AP Royal Oak Offshore watch make it a perfect timepiece for those not only wishing to sport a high end watch, but doing so with powerful in-your-face wristwear!